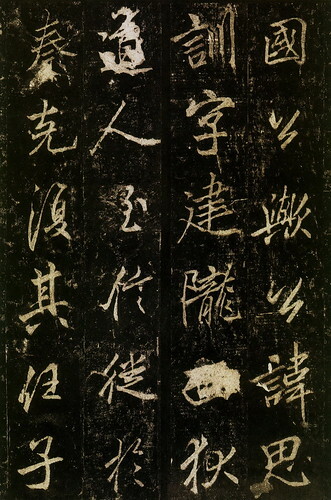 Li Yong (李邕, 678-747) was a calligrapher, scholar and official of the Tang Dynasty. 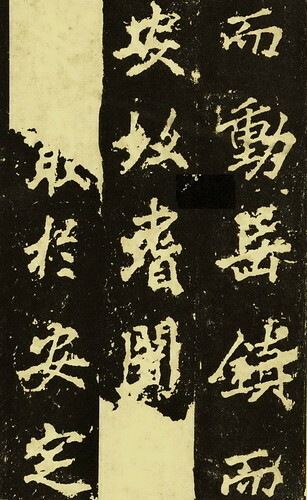 He was born in Guangling (廣陵), in today’s Yangzhou (揚州) of Jiangsu Province. 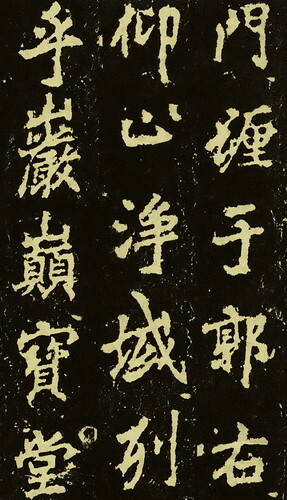 Li Yong particularly excels in the semi-cursive script. 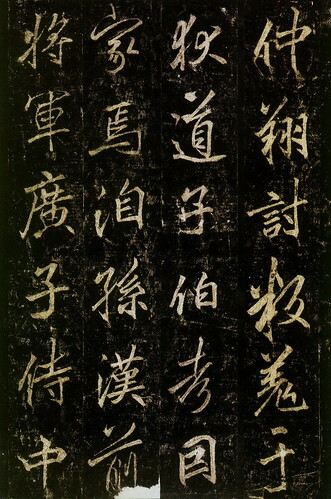 He learned this style from the artworks of the Jin Dynasty calligraphy masters, Wang Xizhi (王羲之) and Wang Xianzhi (王獻之). 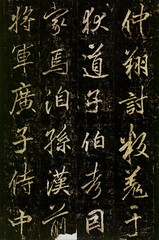 In addition, Li added his personal flavor to the semi-cursive script. 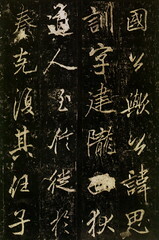 His works influenced later calligraphers, such as Su Shi (蘇軾) of the Song Dynasty and Zhao Mengfu (趙孟頫) of the Yuan Dynasty.